Some more packages of the swap fun arrived this week! 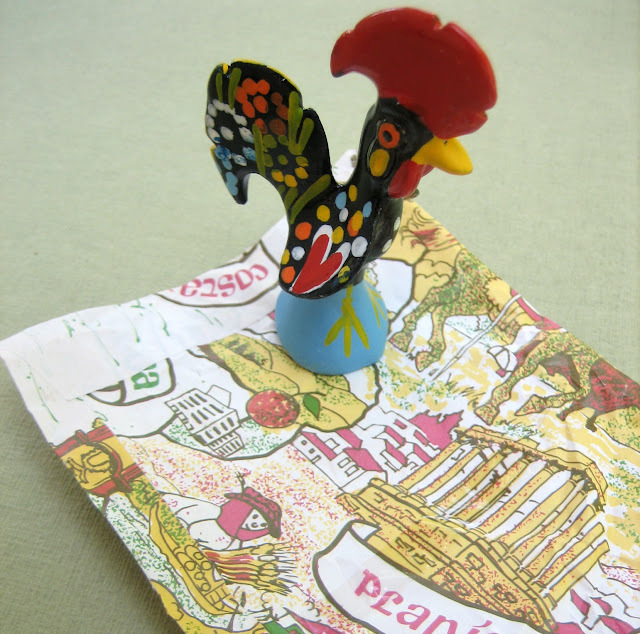 This traditional Portuguese handmade Rooster has been sent by Helena aka Pulguinha, apperently these roosters are in every house of Portugal. A very lovely and thoughtful idea, thank you very much, Helena! 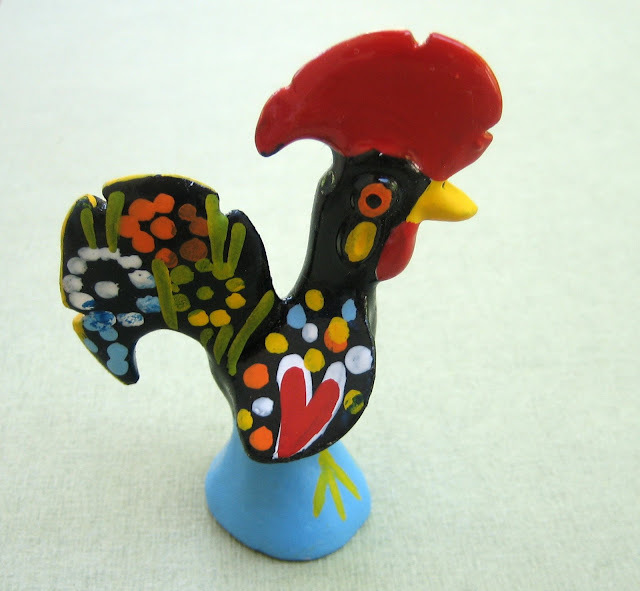 Pulguinha has a shop with lovely jewelry. 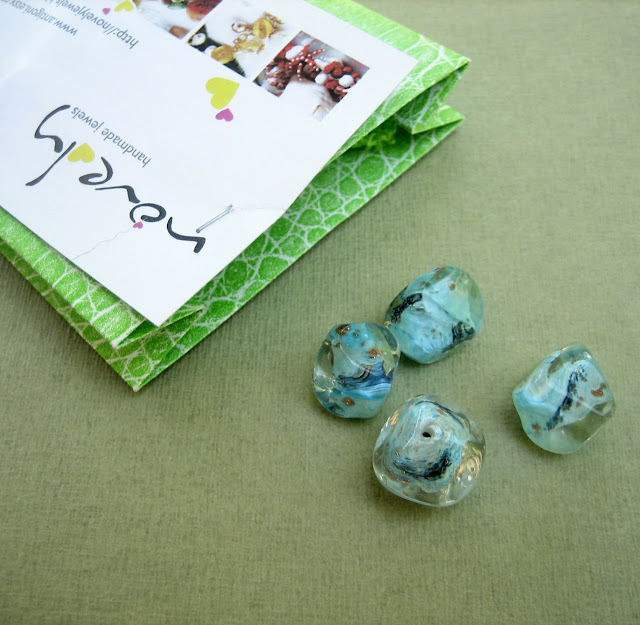 These beautiful felted brooches are from Jane aka JaneBoFelt, they sure will make my jackets and bags look gorgeous! 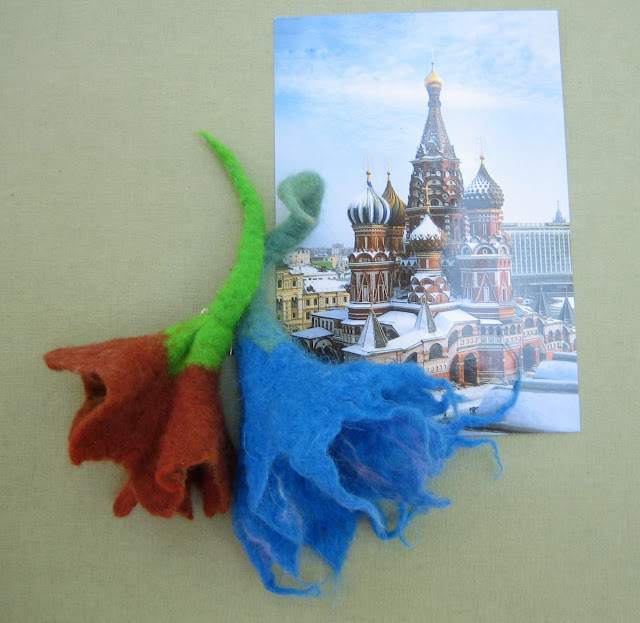 It has been our first package ever from Russia and the Kremlin card was just a perfect icing of the cake. Thank you so much Jane! 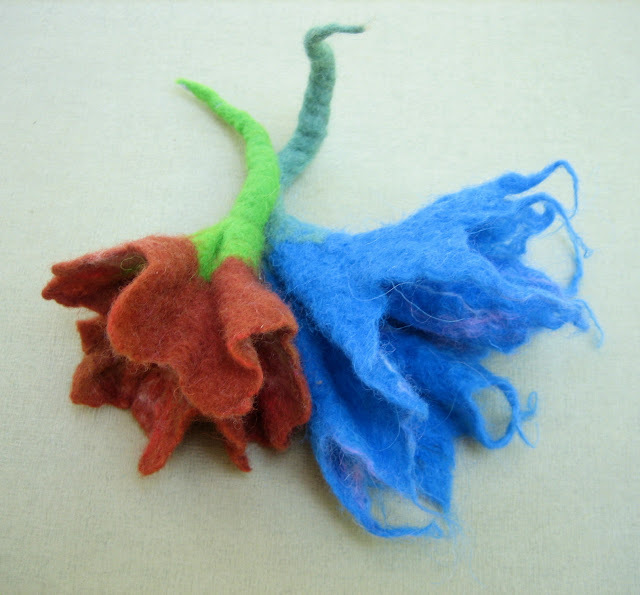 JaneBoFelt sells gorgeous felt scarves and accessories, she also has a beautiful blog. 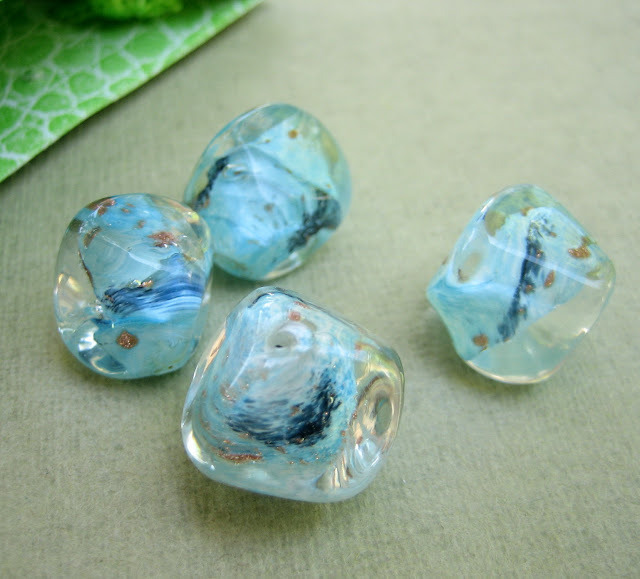 These beautiful vintage glass beads are from Greece, sent by Antigoni. They will be perfect for one of our projects. Thnk you very much! Antigoni has a beautiful jewelry shop and supply shop! She also has a lovely blog. 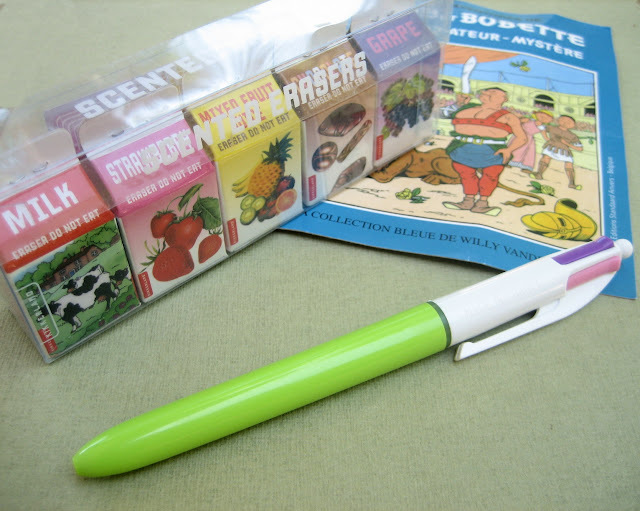 DinaFragola has sent us some fun scented erasers and a colorful pen, thanks so much! Nathalie has a lovely Kawaii shop, and she blogs often about her cute kittens and other cuteness. 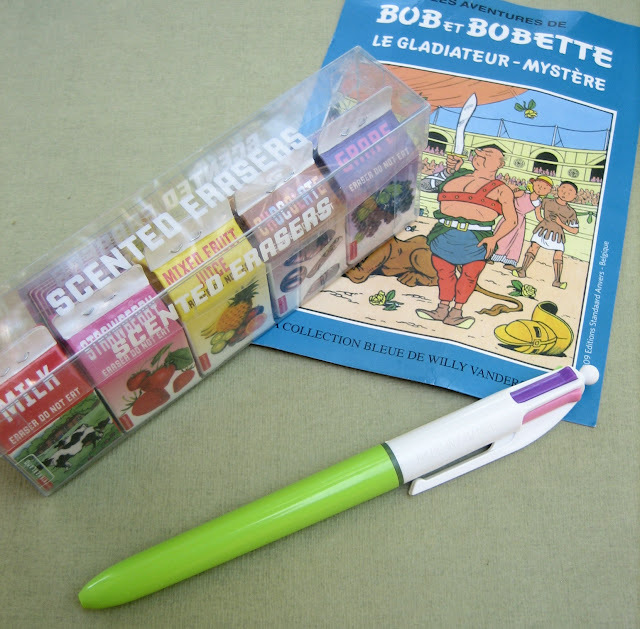 Can't wait to see the remaining packages! Inger is right.... such a great idea!..